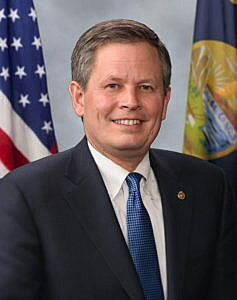 U.S. senators Steve Daines, R-Mont., and Gary Peters, D-Mich., introduced legislation this week to require U.S. Customs and Border Protection to remove personally identifiable information from vessel manifest sheets before making them available for public disclosure. The Moving Americans Privacy Protection Act would amend the manifest disclosure process to explicitly require the removal of individuals’ personal identification information, such as their residential addresses, Social Security numbers and passport numbers. The bill retains the original intent of manifest disclosures. In light of recent increases in identify theft, the Moving Americans Privacy Protection Act seeks to protect the personally identifiable information of those who make international moves with their household goods. U.S. Customs requires manifest sheets in order to disclose and document the cargo of incoming vessels for customs and security purposes. In 1984, the public disclosure of certain manifest information was required. The original intent of this provision was to increase competition, to facilitate better public analysis of import trends, and allow port authorities and transportation companies to more easily identify potential customers and changes in their industries. However, in recent years, the personal identification information of relocating individuals has been released, enabling identity theft, credit card fraud and unwanted solicitations, according to the congressmen.